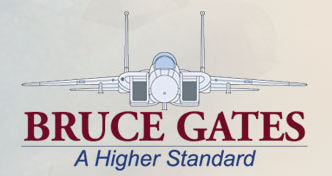 In life and in business, Bruce “Gator” Gates has always AIMED HIGHER. When he’s not developing strategic plans for his clients, Bruce and his family enjoy deep sea fishing and camping trips several times a year. In his nearly 28 years in the military, Bruce has flown many missions and many different aircraft, most notably the F-4E Phantom and F-15E Strike Eagle. And as a weapons officer, it was a job that demanded concentration and precision, as well as teamwork and strategic planning to ensure the successful outcome of every mission. But aiming higher at everything he does has always been Bruce’s style—whether it’s at several hundred miles an hour in the air or with his feet planted firmly on the ground. to a whole new level. 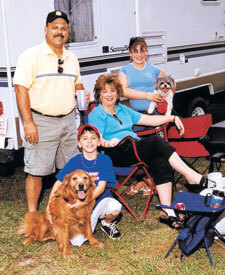 Recently, Bruce organized a two-week long camping trip with his family. They took their time traveling from Goldsboro all the way up through Virginia, Pennsylvania and New York State to Boston, Massachusetts, where they spent more than a week exploring New England. 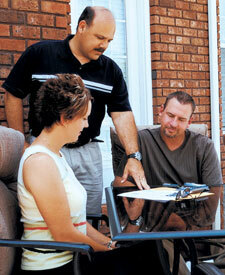 Bruce takes the time to develop powerful strategic plans to help his clients maximize every real estate opportunity. Bruce knows that before you can reach a goal, you have to know what you want. He works closely with every client to help them identify their objectives, then develops a strategic plan to help them accomplish it. Often, his plans include the effective use of the Internet to help home buyers and sellers maximize their opportunities. And it goes without saying that Bruce knows a thing or two about the latest technologies. Although he serves a wide variety of clients, Bruce is obviously very familiar with the specific real estate needs of military personnel and aims higher to help every client, military or civilian, reach their goals. If you or someone you know are considering a move in or around the Goldsboro area, turn to the top gun that can help you get the very most from your home purchase or sale. With his strategic approach and passion for aiming high in everything he does, Bruce is clearly the real estate professional of choice. Because when it comes to helping his clients reach their Goldsboro real estate goals, Bruce Gates delivers A Higher Standard in Goldsboro real estate.